Cabin 6 offers a stone fireplace, three bedrooms and an enclosed porch. 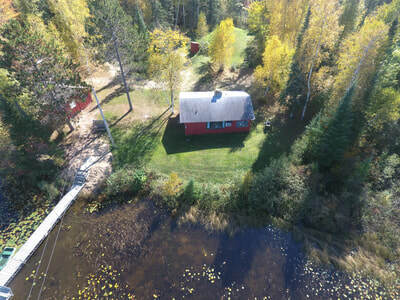 ​ Cabins 5 & 6 are located a short distance away from the other cabins and share a dock. Nothing compares to waking up early in the morning to the call of a loon and enjoying the cool mist as it rises up from the lake's surface. Each cabin comes with the use of one 14-foot alumacraft fishing boat. If an additional boat or canoe if desired, it may be rented for $75.00 per week or $25.00 per day. We have a Luxury Fun and Fish 20-foot pontoon boat available to rent as well. Please ask your hosts for rates and more information. There will be a $25.00 access fee if you bring your own watercraft. Please bring your own personal flotation device (PFD). If yo do not have your own, we will provide one for you. We have an access ramp for your convenience. Jet ski recreational vehicles are not allowed. Additional freezer space is available for $10.00 per week. 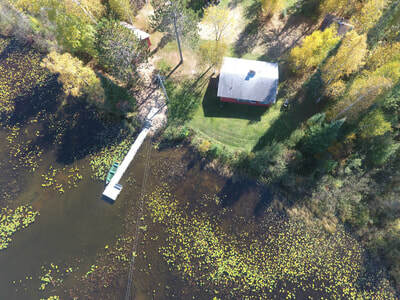 Motors are available to rent for use during your stay at Fox Lake. We also have boats on neighboring Pine Lake and Little East Lake, which must be requested and reserved in advance -- use of these boats is free to guests of Fox Lake Resort. Internet access is available at the lodge. 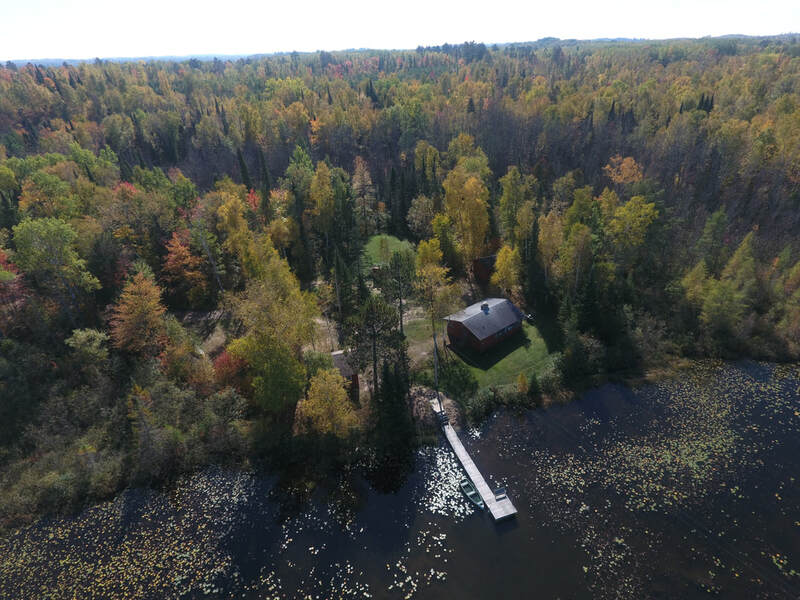 Cabins are rented from Saturday to Saturday. Check in time is after 3:00 PM and check-out is before 9:00 AM, unless other arrangements are made in advance. Most reservations are from Saturday to Saturday, unless other arrangements are made directly with the owners. For stays of less than a full week, the daily rate is calculated at 1/5 of the weekly rate. Children under 3 stay for free! Pets are considered on a case-by-case basis for an additional charge of $95 per week. Please indicate below in the reservation/question box below if you want to bring a pet and we will get back with you. Deposit must be received within 10 days to confirm your reservation. All cabins have undergone major improvements for your comfort and have a beautiful view of the lake. Cabins 2, 3, 5, and 6 are located within 25 feet of the lake, and cabins 1 and 4 are nestled farther from the lake and are near the lodge. Cabin 2 has one bed on the first floor with two beds in the loft. Cabins 1 and 5 are two bedroom units. 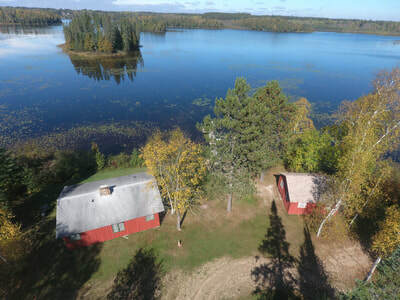 Cabins 4 and 6 are three bedroom units while cabin 3 is a four bedroom unit. Cabin 6 also has a fireplace, and cabins 3 and 6 each have sinks in two of their bedrooms. All cabins require a non-refundable deposit of $500.00 per each week rented. Deposit must be received within 10 days to confirm your reservation. Balance is due upon arrival. We do not accept credit cards for routine payment of deposit or rental balance, but credit card numbers will be required to confirm you reservation. For stays of less than a full week, the daily rate is calculated at 1/5 of the weekly rate. Normal check in time is after 3 pm and check out is 9 am. Please call our toll free number 1-844-238-0011 or call the lodge at 218-832-3758 to make or complete arrangements or email us. After your reservation plans are finalized and your deposit received you will be sent a written confirmation. Please note: Do not provide credit card information in your reservation request. After submitting this request, you will be contacted by management to confirm the request and take your deposit information.